The Federal Government has ordered the Academic Staff Union of Universities (ASUU) to end its protracted strike and reopen all the federal universities by December 4. The government also declared that lecturers who failed to resume on or before the said date would lose their jobs. The Supervising Minister of Education, Nyesom Wike, stated this at a news conference in Abuja on Thursday. The supervising Minister of Education advised the vice-chancellors to advertise the positions of those who failed to resume. He said that 'Vice-Chancellors should ensure that staff who resume for work are provided with the enabling environment for academic and allied activities. 'Any academic employee who fails to resume on or before December 4, 2013 automatically ceases to be an employee of the institution. 'Vice-chancellors are also directed to advertise vacancies (internal and external) in their institutions. Wike said the government took the decision in the best interest of the country. He recalled the meetings with the ASUU leadership, including one with Vice-President Namadi Sambo where the contentious issues of earned academic allowances and funding for the revitalisation of the universities were discussed . He said Jonathan's gesture was more than sufficient to guarantee the commitment of government to address all issues resolved at the meeting with the union. The government was also not comfortable with the union's request that the AGF should sign the MOU and that there should be a renegotiation of the agreement in 2014. Wike said, 'To start with, the agreement you (ASUU) said the Federal Government should comply with, was it the AGF that signed it? It was signed by the Federal Ministry of Education led by the Permanent Secretary. The AGF was not even part of the negotiation. 'We have made every effort to see that students go back to their schools. Each time government made frantic effort, you would hear one reason or the other(from ASUU). For us, we cannot continue to see this thing happens. We will continue to make sure that we stick to all we have agreed to do. 'If you cannot believe Mr. President, then who would you discuss with again? Mr. President cannot sit down for 13 hours having a discussion and at the end of the day the only thing you can do is to attach some new conditions. To pacify the lecturers, Wike said the government had increased their initial N30bn earned academic allowance by extra N10bn. He said the government also offered N200bn for the next six years as funding to the universities with a request for them to draw their priority list based on the need assessment report on universities. 'We all agreed. ASUU said we should put the resolution down. That was done and signed by the permanent secretary,' he said. The supervising minister said the government had reviewed the entire situation and came to the conclusion that the continuation of the strike was an attempt by ASUU to sabotage all efforts to address the issues. 'As a responsible government, we cannot allow the continuous closure of our public universities for this length of time as this poses danger to the education system, the future of our youths and national development', he added. Asked if the decision to compel the lecturers to resume work had no legal implication, Wike replied, 'Leave legal implication for us. We have weighed all options and I think government has done all it is supposed to do. However, the National Treasurer of ASUU, Dr. Ademola, Aremu, said the ultimatum to the university teachers had shown that the government was not committed to implementing any of the resolutions it reached with the union. Aremu expressed shock that the government could have such a plan when there was a shortfall of 60,000 lecturers in the nation's universities . He added that the threat would not hinder the union's determination to ensure that the universities were well funded. The ASUU chief added, 'It is a pity if the Federal Government is not willing to perfect the resolutions reached with the union. This is why we find it difficult to trust our leaders by their words. 'How can someone be threatening to sack lecturers when universities are already short-staffed by almost 60,000. We are not in a military era. The military tried it and failed. This one will fail again. They can re-open the schools. ASUU did not shut the universities. It was their management that ordered the students to go back home. 'With the latest action, the government has shown that it is not committed to all it has been saying. We are saying that since we agreed at the meeting that N200bn is for 2012 and 2013 revitalisation, the government should deposit same in the Central Bank of Nigeria .
' We are already in November and December is around the corner. If they don't do that now, when do they want to do it? 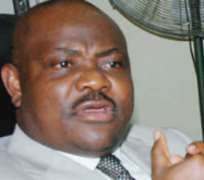 He flayed Wike for alleging that ASUU was making outrageous demands from the government. 'Government should address the issue we sent to them in the letter and we are not demanding extra kobo. Under the military, the threat to sack lecturers did not work. What the current government has done is another long path to make the strike linger than necessary,' Aremu added. - Punch.